Are you gettingenough protein for Flipping 50 with energy and vitality? Do you know now much is enough? While most adults know protein is important a large percent polled randomly while grocery shopping don’t know if they’re getting enough protein. We’re diving into high quality protein needs for flipping 50 on this episode. So whether you’re a vegan or love meat, whether you’re struggling to see tone and lose fat, or you want to avoid becoming frail as you age (or help parents do the same), this episode is for you. “Muscle is the organ of longevity.”~Dr. Gabrielle Lyon Flipping 50 guest, Dr. Gabrielle Lyon is a functional medicine physician specializing in Muscle-Centric Medicine. She leverages evidence-based medicine with emerging cutting-edge science to restore metabolism, balance hormones, and optimize body composition. Questions about quality protein we answered in this episode: What does it mean to be getting enough protein? What is high quality protein? What are Essential amino acids? What are Branched Chain Amino Acids (BCAA)? Is it high vs. what was once thought of as “high”? How to shift from grams/kilogram to a grams per meal Truth about Plant based diets and essential amino acids/BCAA How to go beyond getting enough protein (quantity) and assess your protein quality: Does is run or fly? Does it swim? Does it feed plants? Why getting enough protein is especially important as you age “When you’re younger your body is driven by hormones. When you’re older you’re driven by protein.” ~Dr. Gabrielle Lyon Quality Protein Need Facts we review/myths we bust: RDAs were created in the 1940s based on 18-year old males Collagen protein does not meet your muscle need for protein Higher (or adequate) protein intake actually improves kidney function Bone is made from protein You’ll hear Dr. Gabrielle’s every-woman comment about the deeper value of muscle, protein, strength training, and inner strength: “Leaning Into Resistance” Connect with Dr. Grabrielle Lyon here: https://www.drgabriellelyon.com Follow her on Instagram! 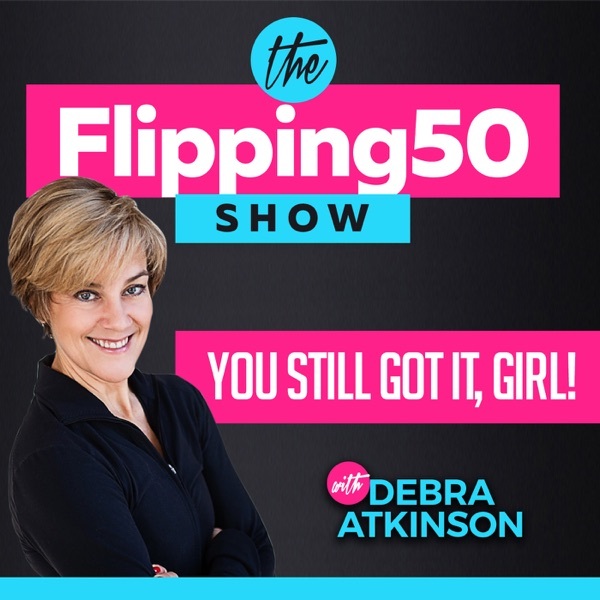 @drgabriellylyon.com Flipping 50 Podcast listeners!! Exclusive Podcast Listener's Promo Code: Propod Take 10% off your first order of protein (Your Whey*, or Paleo Power, or Plant Power) *the most concentrated source of Essential Amino Acids For the best results, pair your high quality protein with strength training twice a week. Need help with strength training that increases muscle without injury or hours? Try The Whole Flip DVDS, or the online/digital You Still Got It, Girl 4-video series.